Finding the right retirement community can be stressful and confusing. Our staff is committed to finding real-life solutions for your personal needs. 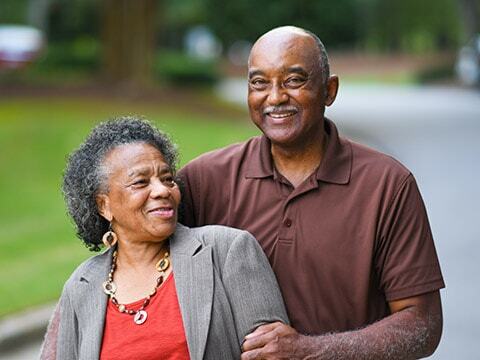 A full-service continuum of care at Parkview can be worry-free and affordable. "To provide quality retirement living, with long-term care that allows for the highest level of independence on a cost-effective basis to the Freeport community." 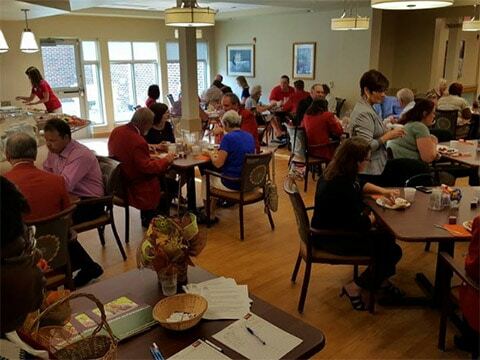 Encouraging a person-centered approach to resident care. The Gardens bring the best of independent retirement living. Spacious maintenance-free villas are offered with a variety of floor plans from 800 square feet up to 1,800 square feet of living space with attached garages, and all taxes included. Enhanced independent studios and 1 & 2-bedroom Church Park apartments are in the main building. 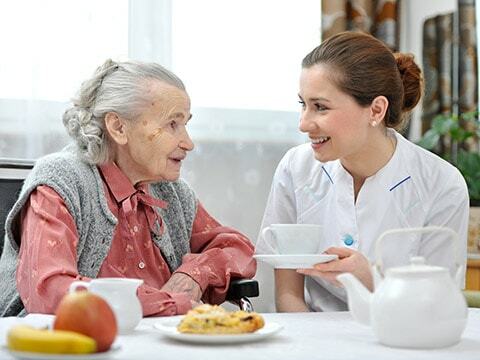 Services included are a daily meal, visiting nurse and weekly housekeeping. Singles and couples can enjoy affordable studio or 1-bedroom apartments, 24-hour nursing staff monitoring, medication assistance, all meals and snacks, weekly housekeeping and laundry. 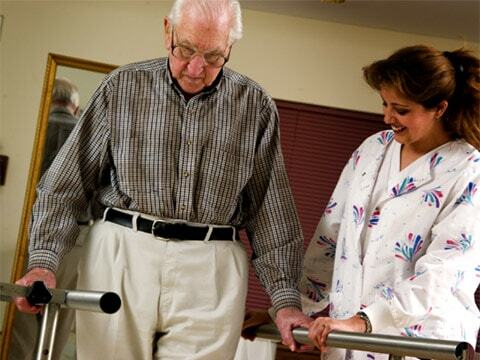 Assistance with resident’s daily living activities, and participate in planned outings and activities are encouraged. Full access to on-site rehab services. Our new memory care studio apartments provide assisted living, private bathroom and shower. Licensed nurses and certified staff are trained to meet resident’s special needs. 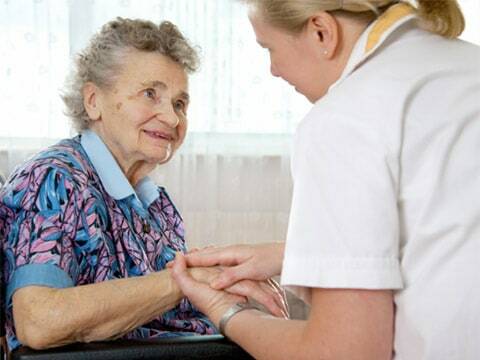 Skilled care provides 24-hour licensed nursing care, medications managed and administered by nurses. Residents can choose private or semi-private rooms. Complete dining service, laundry services and linen changes are provided for residents. Parkview was founded in 1914 as a not-for-profit retirement community to meet the needs of seniors. Residents can choose between monthly rentals and lifetime care. There are two lifetime care options that guarantee the resident will not have to leave Parkview, even if their funds are depleted. One plan offers 90% return of unused funds. 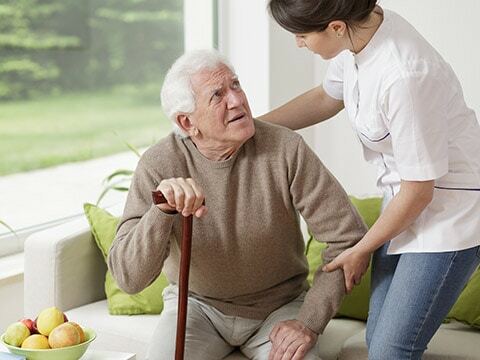 Residents can receive physical, occupational and speech therapy rehabilitation, in cooperation with Genesis Rehabilitation Services, provided here at Parkview. These prescribed therapy services can be billed to Medicare Part B insurance. Our new 44,000 square foot expansion encompasses 3 floor levels. The ground floor contains 15 private assisted living memory care apartments with a pleasant, secure outdoor wander garden. A warm home-like atmosphere on the second level offers 15 private skilled-care rooms with a relaxing spa and beautiful fireplace lounge, a convenient country kitchen for residents and an activity area with a great view of the neighborhood! Enjoy the peace of mind in knowing you are going to be taken care of! The middle level of Parkview West is planned for future expansion needs. I made a very good decision to move into a two bedroom condo at Parkview about two year ago. I so enjoy the planned social events like our monthly neighbor meetings, social hour and of course playing Mexican Train dominoes. No worries about mowing lawn or shoveling sidewalks and when I need additional care, it will be available. I moved into a Church Park enhanced independent apartment in February 2017. My daughter and son-in-law chose Parkview for me and it has been wonderful to be here. The food is wonderful! I like the variety of choices every day and it is always well-prepared. All the staff is very nice, friendly and cheerful. I have enjoyed every day here. I also appreciate the maintenance staff as they are always right there to fix any problem. Parkview is designed and staffed for a worry-free continuum of care, on all levels of care -- on one beautiful campus. The main building wings are linked so residents can get to floors without going outdoors. Residents can enjoy on-site amenities that include fireside lounges, libraries, computer center, exercise room, barber & beauty shop, sun porches and terraces. Residents participate in a full calendar of Parkview activities and events, such as crafts, exercise classes, outings, shopping trips, entertainment and social hours. This is the lifestyle you deserve and the lifestyle you’ll discover at Parkview – all made possible by a professional, courteous and compassionate staff! Parkview offers a full calendar of activities and events, both on-site and off-campus. Regular weekly activities include a cupboard full of card and board games, crafts, Sunday church, bingo, movies and more! 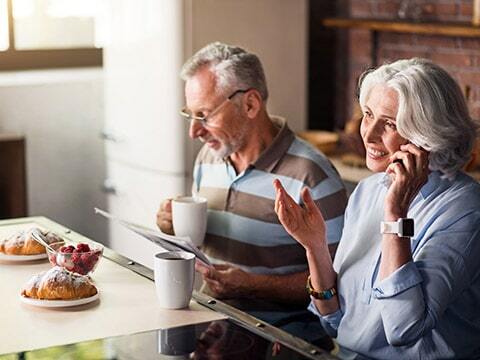 Residents enjoy monthly activities such as birthday parties, exercise groups, scheduled shopping trips, social hour, live music and entertainment on-site and off-campus. Special events during the year include Valentine’s dinner, annual picnic, holiday dinner, ice cream social and OctoberFest..
Parkview schedules our 15-passenger bus and lift-van for transportation to shopping, outings and other activities. 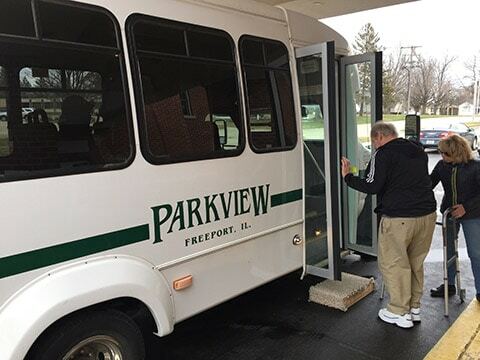 On-call transportation is also available by bus or van to residents through Pretzel City Area Transit in cooperation with the Stephenson County Senior Center. Fares for seniors 60 and older are donation-based for local transportation. Parkview receives many compliments from residents and visitors as they experience the friendly dining room atmosphere, outstanding service and the quality of the food served. Residents never have to wait in line to be served… all meals are served restaurant style to the table for breakfast, lunch and dinner. Menus are filled with a variety of high quality, delicious and nutritious food choices. 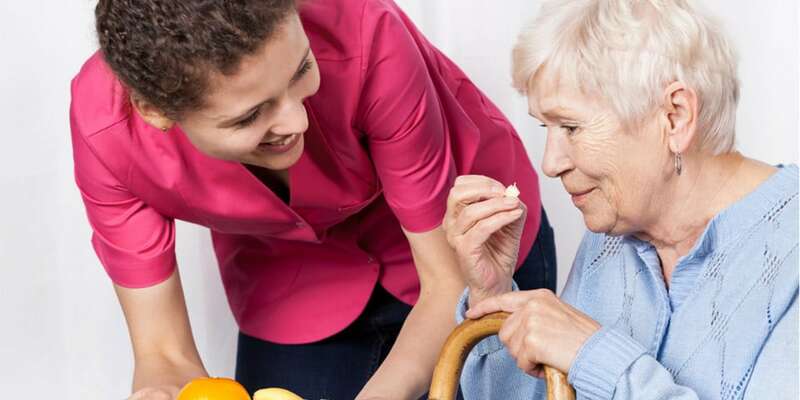 Our dietary staff works closely with every Parkview resident daily to insure they receive their special dietary needs. 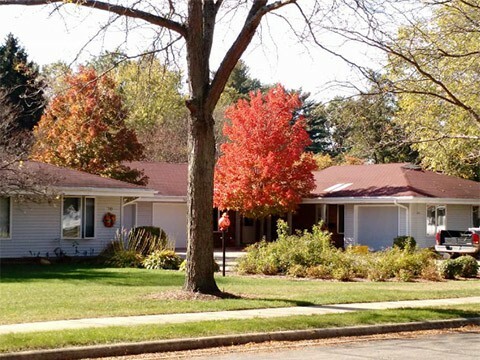 Parkview Retirement Community is in a carefully landscaped residential area of Freeport, Illinois. Our Garden Park condominiums bring the best of retirement living. Winding tree-lined sidewalks on quiet private streets lead to residences nestled among gardens and well-tended lawns.